Family secrets come back to haunt Jack Reacher in this electrifying thriller from #1 New York Times bestselling author Lee Child, “a superb craftsman of suspense” (Entertainment Weekly). English Author Jim Grant (Pen Name) “Lee Child”, was born in 1954 in Coventry, England UK. 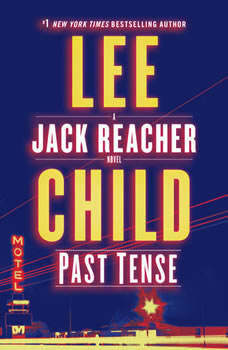 His most notable writings are the Jack Reacher series novels. Beginning with his first novel, Killing Floor, each of his work follows a former American military policeman, Jack Reacher who wanders throughout the United States. Grant (Child) studied law at the University of Sheffield, but knew he had no intention of practicing law. After graduating, he worked in commercial television. He worked in that venue until 1995. A fun fact is that he chose Reacher for his main characters name, because he himself is tall and his wife once said, “If this “writing thing” does not work out, you could always be a Reacher in a supermarket.” Grant (Child) describes his books as revenge stories-“somebody does a very bad thing, and Reacher takes revenge.” In 2012, his novel “One Shot”, was adapted into a film called “Jack Reacher”, starring Tom Cruise.